- Take control of your ticket sales with access to real-time data. - Rely on easy-to-use ticket scanning and check-in to give guests a flawless entry experience. - Keep your finger on the pulse of your event with live attendance tracking. - Accept fast, secure payment for tickets and merchandise on-site and never miss a chance to sell. 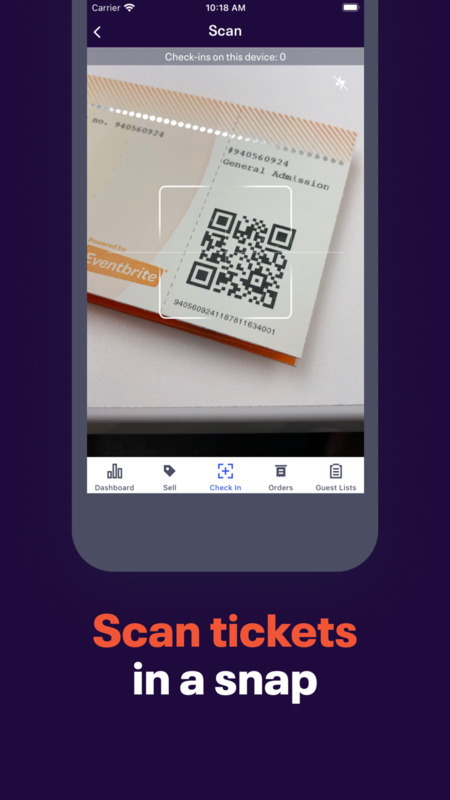 - Check-in That Works: Reliably and efficiently check-in attendees by scanning tickets with the camera on your mobile device. Or, simply look up your guest’s name directly with a quick search of your guest list. Say goodbye to check-in headaches with our easy-to-use entry manager technology. - Solve Customer Requests Fast: Quickly look up orders, and reissue, cancel, or refund orders on the spot. 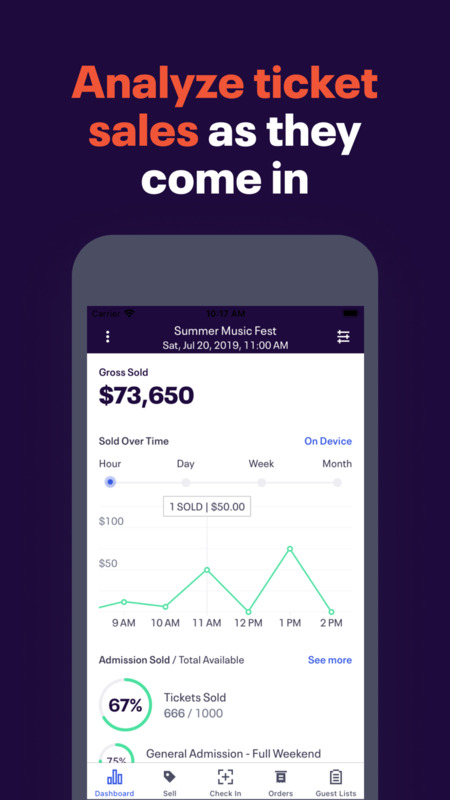 - Real-Time Data: All sales and check-in data is synced with Eventbrite’s servers, so you can use multiple devices at different entry points without missing orders or duplicating tickets. - Multi-lingual? No problem: Organizer is also available in German, French, Italian, Dutch, Portuguese, Swedish, and Spanish. Olè! Standard credit card processing fee (3%) and an Eventbrite Service Fee are charged on all credit card orders.